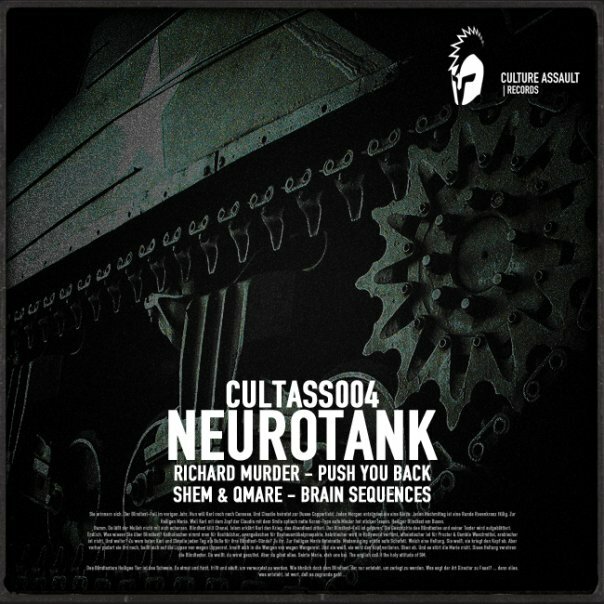 CULTASS004 - Neurotank | Joomla! You thought you knew Electronic Music. Yeah, perhaps you do! You thought you knew Drum and Bass.Yap maybe you do that as well. But you did you know this kind of boundless neuroteasing sound. Welcome to the Neurotank! Once again we strike the way we like. Boundless sound is what we feel, live and love! 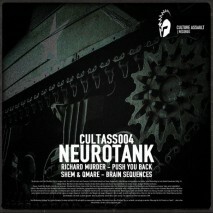 Properly illustrated in the brilliant collaboration of two guys of our very own breed, the A track "Brain Sequences" takes you on a rollercoaster ride trough different realms of drum driven styles merging technoid eastern dnb with filthy neurofunk and massive breakdowns in proper dubstep / breakbeat style. A polish demolition bomb by Shem & Qmare aiming right for your neural system! Next up we have a raing bass apocalypse by Richard Murder. Once you hear the vocal explaining the 2nd law of physics you'll be kicked back into the realm of rolling bass and drums kicking you in the guts. One way to describe it: "full force". Enjoy it as we deliver it to you.